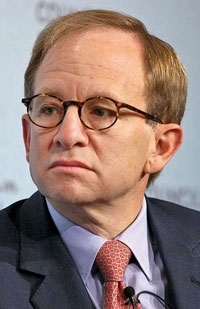 Steven Rattner: "Years of discounting had cheapened all of Chrysler's brands." With money tight last year, Chrysler Group still launched a crash effort to improve the interiors, powertrains and other aspects of many of its current vehicles. Thank Chrysler CEO Sergio Marchionne, says Steven Rattner, who is out with a new book about his days as a key member of the Obama administration's auto task force. "An internal study had shown that customers rated thirty-two of Chrysler's cars and trucks as 'mediocre to bad,' " writes Rattner in Overhaul, an Insider's Account of the Obama Administration's Emergency Rescue of the Auto Industry. "Complaints ranged from rattles, stiff brakes and sloppy steering to the dreaded condemnation 'it feels cheap.' "
So Marchionne allocated $700 million last year to upgrade vehicles -- designed to tide the company over until the lineup is reinvigorated in 2012 and 2013 with vehicles based on Fiat platforms. Among the vehicles getting major midcycle makeovers under the new management: the Jeep Wrangler; Chrysler Town & Country minivan and Sebring sedan; and the Dodge Avenger sedan, Grand Caravan minivan and Journey crossover. Most of these vehicles are getting new interiors. And most will get Chrysler's new Pentastar V-6 engine, a more refined powerplant than Chrysler's older V-6s. The vehicles go on sale in the third or fourth quarters. Marchionne's other bold early decision at Chrysler was to slash consumer rebates and let sales fall to market demand, Rattner says in the book. "Years of discounting had cheapened all of Chrysler's brands, and he thought that incentives, unless checked, would ultimately destroy the company," writes Rattner. "Cutting incentives was a gutsy move that reflected Sergio's instinctive management style." Chrysler sales plunged last year, but have recovered with the help of fleet sales. But by watching costs closely, Chrysler posted operating profits of $326 million in the first six months of 2010. Rattner's book goes on sale Oct. 14. On Sept. 20, Automotive News will publish Rattner's account of how Fritz Henderson lost the confidence of the board of General Motors Co. and was fired.